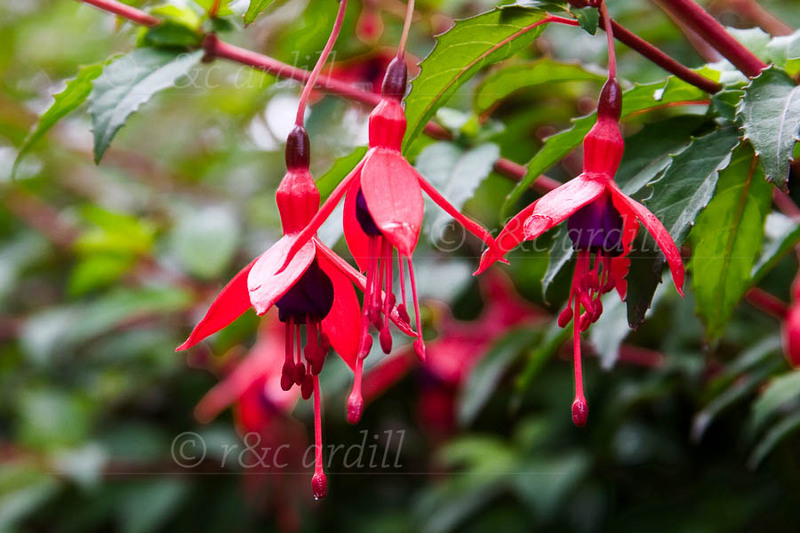 Photo of: Fuschia - Fuchsia magellanica. These grow in hedgerows mainly in the West of Ireland and give a vivid colour to the roadways. These blossoms were taken in County Clare in June.